“Blue Is The Warmest Color” is a graphic novel that follows the protagonist, Clementine, as she moves through the motions of growing up, while trying to make sense of her infatuation with Emma: the girl with blue hair. Throughout the story Clem challenges the idea of her own identity, family and friendships. 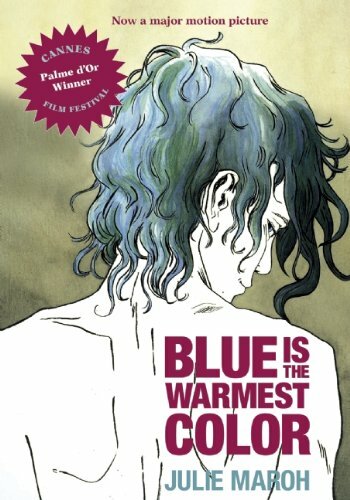 “Blue Is The Warmest Color” is a great entry point into the graphic novel genre. The text is structured around diary entries which act like traditional chapter breaks, which makes it easy to read. The written text is fast-paced, while the images offer a tender unfolding of Clem’s life. All of this contributes to a story that is exhilarating and emotive. *This graphic novel contains explicit content and is intended for an adult audience.